Welcome to our new-look Flash! We are pleased to present you your usual monthly newsletter in a brand new format. We always welcome your feedback, so please let us know what you think. Emma Nolan, FEANTSA Communications & Information Officer. Do you have a story for the Flash? Let us know! 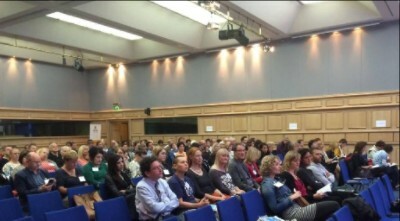 On 25th September, nearly 200 researchers from 27 countries around the world came to Dublin to attend the Tenth European Research Conference on Families, Housing and Homelessness. 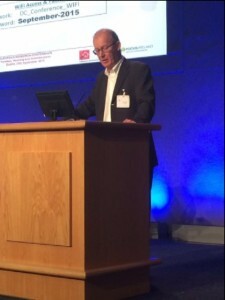 With keynote speeches from Professor Eoin O’Sullivan on Homelessness in Ireland: a Comparative Perspective, and Professor Beth Shinn on Housing and Service Interventions for Family Homelessness, as well as many other speakers, the conference provoked many discussions and new opportunities to network. See the full programme here. The next Research Conference will be held in Copenhagen on 23 September 2016. A call for papers will be issued in January 2016. The next issue of the European Journal of Homelessness, which will be an open edition, will issue its call for papers in the coming weeks. We encourage those interested in submitting a paper to keep an eye on our website and social media channels. Nils Muižnieks has called for the human rights of irregular migrants to be respected, regardless of their legal status. 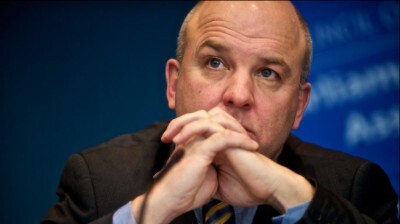 The Council of Europe Commissioner for Human Rights has said that “basic social rights are universal, their enjoyment constitutes a prerequisite for human dignity.” He called for member states of the Council of Europe to stand by their obligations to protect the basic social rights of everyone under their jurisdiction, including irregular migrants. Read more here. The CJEU addressed the question of whether EU citizens who were previously briefly employed in the host State could be denied social assistance benefits. The Court ruled that they were not still covered by the Residence Directive (2004/38) as former workers, since the Directive, in its Article 7(3)(c), provides that those who work in the host State for less than one year retain ‘worker’ status for at least six months after becoming unemployed. After that point, a Member State can terminate their worker status, which means they are no longer covered by the equal treatment rule, and lose access to social assistance benefits. Concerning the rapid increase of extreme forms of poverty such as homelessness, the European Parliament’s Committee on Employment and Social Affairs has adopted a report in which it agrees with the Commission that Member States must tackle homelessness and risk of homelessness through comprehensive strategies based on: prevention, housing-led approaches, the reviewing of regulations and practices in relation to eviction and the availability of genuinely affordable housing offering stability, and an end to the criminalisation of homeless people. Read more here. The European Commission has proposed a recommendation to help Member States return more long-term unemployed people to work. The proposal foresees that all jobseekers, who have been out of work for more than 12 months, receive an individual assessment and that they receive a job integration agreement, offering a personalised plan back to work, before they reach the 18-month mark of unemployment. Read more here. 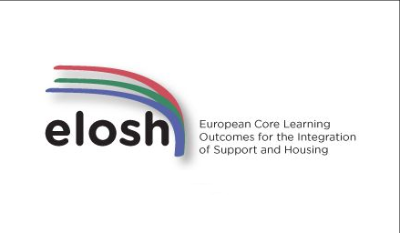 The ELOSH project (European Core Learning Outcomes for the Integration of Support and Housing) has held its final conference. The two-and-a-half year project grouped 14 partners, of which FEANTSA was one, and looked to develop core learning outcomes and a universal training pack in order to equip a wide range of stakeholders from various sectors (housing, health, care, homelessness) with essential skills to address the increasing challenges of helping people with complex housing needs. Visit the ELOSH website to learn more. The Prime Minister of France, Manuel Valls, has vowed that new aid to refugees announced by the government will not come at the expense of the homeless, promising to release the necessary funds for homeless before the onset of winter. This comes at a time when Minister of the Interior, Bernard Cazeneuve, has promised to give 1000 euros for each housing unit created to accommodate the refugees. Valls has declared that these funds for the homeless will be freed up in the coming weeks. Read more (in French) here. 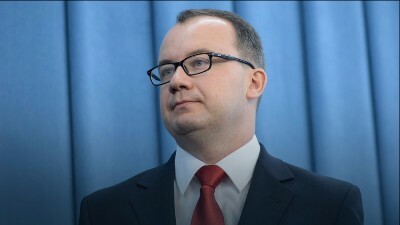 The new Ombudsman of Poland, Adam Bodnar, has announced that he will pay “quite a lot of attention” to the issue of homelessness in Poland. He signaled his intention to arrange a meeting with all NGOs dealing with homelessness, social assistance and the protection of individual rights in order to discuss the most important risks and challenges when it comes to protecting human rights. Bodnar declared that the situation of homeless people in Poland “grossly violates their human dignity” and that a commission of experts will be set up to deal with this issue. A report by Crisis and the Joseph Rowntree Foundation has praised Wales for “setting an example for the rest of the UK on homelessness.” The report praises unique Welsh laws trying to address the issue, such as the 2014 Housing (Wales) Act which places a legal duty on official bodies to work to prevent people from becoming homeless. The report has also warned, however, that new proposed laws to make it easier for a landlord to evict a tenant during the first 6 months of the lease – in theory to make the housing market more flexible – could affect the security of those who rent privately. Since 2009/10, there has been a 20% increase in the number of people made homeless due to the loss of a rental tenancy. Read the report here. The Spanish government has announced its plans to ensure access to healthcare for irregular migrants, provided they have been registered in Spain for six months or more. With many, including Amnesty International, calling these plans limited and insufficient, there are serious concerns that they leave out the homeless entirely, who are not able to register at all, due to having no fixed address. The UN has already warned Spain about providing basic human rights to undocumented migrants and has urged it many times over the past year to restore universal healthcare. Read more (in Spanish) here. The Collectif des Associations Unies (CAU), a French association grouping together 33 organisations dealing with homelessness and housing (including several FEANTSA members), have written a joint letter to the Minster for Finance and the State Secretary for Budget, regarding the cuts in the 2016 Budget which, they argue, unfairly affects housing benefits and subsidies for investing in and building social housing. Both mechanisms, they argue, are “indispensable for containing the housing crisis in France” with one in five people receiving some form of housing benefit each year. Furthermore, the letter underlines, the government’s goal of building 150,000 social housing units per year has yet to be achieved with 106,000 being built last year, and 117,000 the year before. The CAU has asked to meet the two ministers in question to discuss the issue further. Read more (in French) here. Child homelessness outside Dublin is increasing at almost three times the rate in the capital, the latest figures from the Irish Department of Environment show. The data reveals that while Dublin has seen its homeless children population increase by 44 per cent in the six months to June, the numbers have gone up by 130 per cent outside Dublin. Figures also show that across the country, the number of homeless families has risen by 76 per cent since the start of the year. Just over 400 families were homeless in Ireland in January and by August that figure had increased to just over 700. The Department of the Environment has said that there will be about 1,000 additional housing units for homeless people in the capital by the end of the year and the majority of these will be for families. Read more here. Mike Allen, FEANTSA President and Head of Advocacy at Focus Ireland, told delegates at FEANTSA’s 10th European Research Conference on Homeless last week that at the current rate at which the Irish government is housing homeless people under a fast-track scheme, it would take over two years to house the existing people requiring help. This calculation is based on the assumption that no more families become homeless in the meantime. Allen also told delegates that the decision by the Government to tackle the current homelessness crisis by ensuring that half of all available social housing is allocated to homeless households and other vulnerable groups has made a huge difference. Although 97 families have been successfully housed, 134 remain in emergency accommodation, in addition to 78 new families who became homeless in August alone. Read more here. The Ministry of Social Affairs and Health has published two studies on people living in poverty in France. They claim that those below the poverty line are most likely to be single, young adults, single-parent families and undocumented migrants. In urban areas, over 2.3 million people are living in extreme poverty, earning a maximum of 660 euros a month, with half earning less than 520 euros. Of the 66,300 homeless Francophones in France, 40% receive no help from the state. According to the studies, this can partly be explained by the fact that many do not always match the criteria for receving benefits (age, migration status, number of children) with 6 out of 10 coming from abroad and more than a third under the age of 30. Furthermore, homeless people in France infrequently access housing services with only a third having exercised their right to housing. Read more (in French) here. Barcelona city council has acted on its promise to fine banks with empty houses on their books, charging several banks 60.000€ in total due to 12 homes having been empty for more than two years. “Public authorities have an obligation to use all possible resources to confront the housing emergency,” Barcelona’s mayor, Ada Colau, said. Colau, a former housing activist who leads the leftist coalition Barcelona en Comú, said the fines were aimed at forcing banks to make use of empty properties. Those fined have a month to find tenants or face an additional charge of 10.000€. If no action is taken after two months they could face another fine of up to 15.000€. Read more here (in Spanish). On 7 September, after anti-Roma riots last July, Bulgarian authorities evicted Roma from the Kremikoytzi settlement in the municipality of Gurmen. According to civil society sources, no alternative accommodation was offered and a total of 41 people, including 21 children, were made homeless as a result. 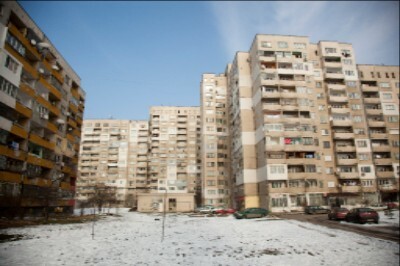 Further evictions in the area, as well as in Varna municipality, are now feared. Read more here. The Concertation bruxelloise de l'aide aux sans-abri (Brussels-based consortium focusing on homelessness), has commissioned La Strada to set up a working group on the creation of an integrated sectoral approach to helping the homeless. The fruit of this WG is a report entitled: “An Integrated Approach to Helping Homeless People” which can be read (in French) here. The RAIS Fundación has launched the 'reCICLOtaller' project to help the homeless using cycling as a tool for inclusion. The project involves a series of training placements and career guidance classes focused on developing employability and social skills. People of all ages have been involved in the project. Read more (in Spanish) here. Spanish FEANTSA member, St John of God Hospital, has taken part in a pan-European project called the Grundtvig Project which aims to relate the facilities and services portfolio of the participating members to new needs arising from the homelessness crisis. 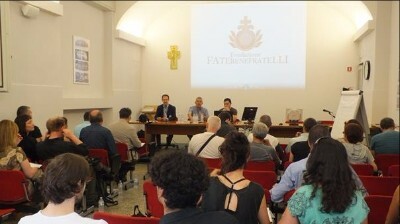 There have so far been four congresses with the latest held in Brescia, Italy. From it emerged a series of recommendations on how to cope with the changing face of homelessness and social exclusion in times of economic crisis. This will be circulated to the European Parliament in the coming months by the European Office of Saint John of God. 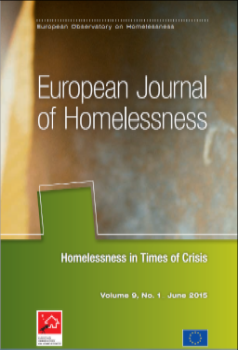 The European Observatory on Homelessness' latest issue of the European Journal on Homelessness, Volume 9, Issue 1: Homelessness in Times of Crisis, is available in print and online. Print copies cost €20. To order a printed copy contact information@feantsa.org. Housing Europe, the European Federation of Public, Cooperative and Social Housing presents a report that reflects the state of the housing sector in the continent. Its main findings include the fact that there are more people without a home in Europe today than in 2009 and that there are not enough affordable homes available in most European countries to meet the increasing demand. Read it here. A report for the Luxembourg Presidency of the Council of the European Union which aims to draw out widely shared values, principles, recommendations and ways forward on social objectives. The report focuses largely on social inclusion and social protection and highlights homelessness as a key area for European cooperation. You can read it here. An ethnographic exploration of contemporary spaces of homelessness which takes an expanded view of homeless space, threading together experiences of organizational spaces, routes taken through the city and the occupation of public space. Read it here. Oxfam launches its new report "A Europe for the many, not the few"
This briefing paper reviews the current situation and presents recommendations to help put an end to poverty and extreme inequality in Europe. Read it here. The Welsh Homeless Monitor, now in its second year, was published by Crisis over the summer and predicts that the while the overall number recorded as homeless may increase in the short term due to the greater help available, the numbers may fall if the new activities are effective. Read it here. On 3-6 November 2015, the 3rd World Conference of Women’s Shelters will be held in The Hague, in the Netherlands. The conference aims to connect organisations, governments, businesses and scientists together to exchange knowledge and experience, strengthen existing alliances and promote new ones. You can register here. The 3rd Europe Housing Forum in Berlin, November 18-20 2015, will seek to stimulate both discussion and serve as a launching point for practical recommendations to help demonstrate how housing can play a crucial role in successfully improving social and economic conditions across Europe. You can register here. Copyright © 2015 FEANTSA, All rights reserved.